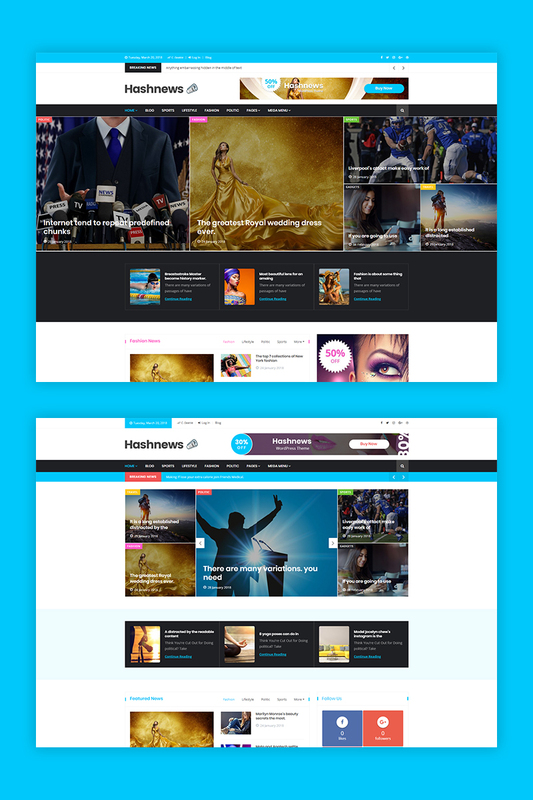 Hashnews WordPress Theme is a modern and sophisticated WordPress theme for news, newspaper, magazine, and lifestyle or review site. Hashnews is fully responsive and retina ready that is why, it looks and performs great on every device. Light, fast and stunning Hashnews WordPress Theme enhances your news website. This theme is easy to use because it is built with Drag and Drop Page Builder. Coding knowledge is not required even! Only drag and drop elements to create your ideas. Moreover, there is 3+ Homepage with plenty of included pages. Just select your preferable Homepage and customize it to your heartâ€™s content. A professional MegaMenu is also added into it. This theme is built based on KingComposer with numerous handcrafted elements and tremendous page builder features. In addition, 40+ KingComposer addons and 20+ Hashnews addons are available for you. This neat, clean and simple design offers unlimited header, footer, and color variations. However, Hashnews creative design has 5 different categories layout. Almost every easy-to-use element has multi-options to control how they look on the front end. Easy theme customization options let you alter everything. The complete customization is on your hand, such as header setting, footer setting, news block one, two & three setting, Google map setting, and other customizations. Besides this, Hashnews is included with multiple Shortcodes and KingComposer elements. Therefore, Hashnews is Ajax Contact Form compatible and can set up a personal login account. Numerous options are enabled for users to craft something that accurately represents their high visibility. Article typography can be enhanced through Google web fonts. Featured news, popular news, top news, and twitter feeds are available for all clients. Increase your client satisfaction with Hashnews WordPress Theme. Feed their soul with latest news, blog articles, and life styles. Correspondingly, Hashnews WordPress Theme is a dynamic and versatile WordPress theme. So, choose the best for your website like Hashnews WordPress Theme and grab the attention of your audience. 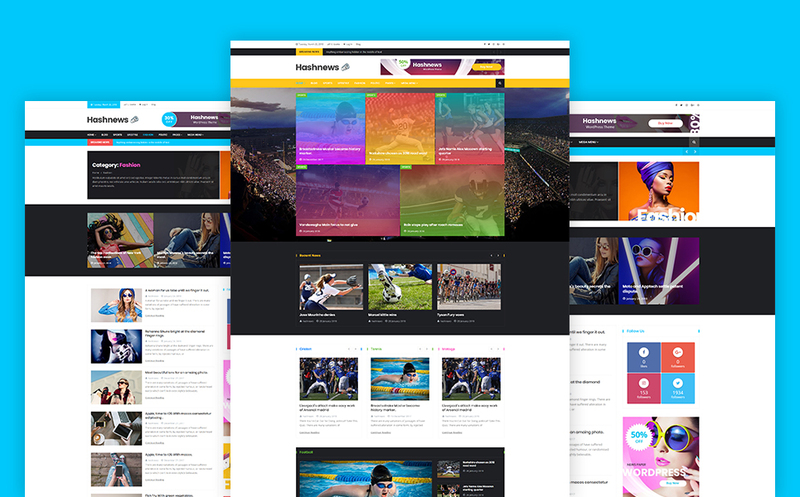 Actually, Hashnews is the most flexible news website theme on the market today. Try it now! 1. Updated :	Capability WordPress 5x. 2. Fixed :	Primary Color. 2. Updated :	Theme custom widget move to core plugin. Great service and template. They were very fast to reply to emails and questions. They installed it quickly for me and it looked great.